HMD Global has launched the Nokia 2 in India. The device has a 5.0-inch 720p HD LTPS In-Cell display with a 1:1300 contrast ratio, which is protected by Corning Gorilla Glass 3. 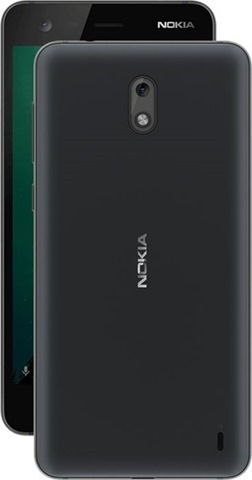 The Nokia 2 is powered by a 1.3GHz quad-core Qualcomm Snapdragon 212 processor, with 1GB of LPDDR3 RAM. The phone runs on Android 7.1.1 Nougat (Stock Android) and Nokia has promised regular updates. The device has Google Assistant built-in to the OS, and offers unlimited storage space on Google Photos. 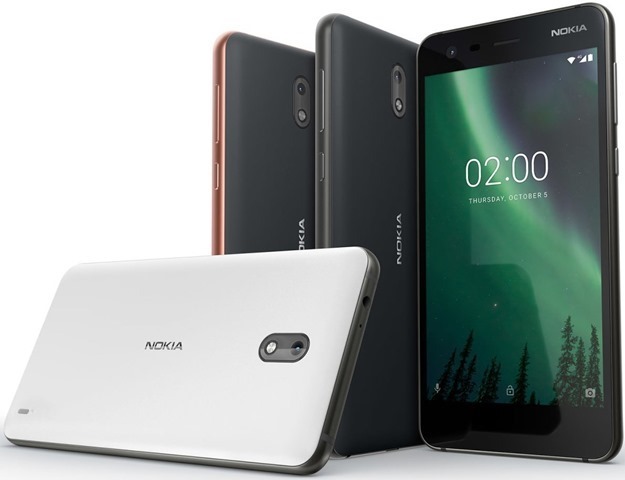 The Nokia 2 has 8GB of internal storage, and supports up to 128GB of expandable memory via a microSD card slot, which is part of a hybrid dual-SIM tray (Dual Nano SIM cards). The phone features an 8-megapixels rear camera with autofocus and LED flash, and a 5-megapixels selfie lens with fixed focus. The device has a single speaker, a 3.5mm headphone jack, and supports 4G VoLTE, Wi-Fi 802.11 b/g/n, Bluetooth 4.1, GPS, A-GPS, GLONASS, Beidou, FM Radio (RDS). The Nokia 2 is backed by a massive 4100 mAh battery. The phone has an aluminum frame and a polycarbonate back. While the phone does not have a fingerprint scanner, it does pack in a compass, accelerometer, a proximity sensor, and an ambient light sensor. The phone is IP52 certified for drip protection. The Nokia 2 has been priced at Rs. 6,999 in India, and will be available from today, November 24th. The device will be available in 3 colours: Pewter / Black, Pewter / White, Copper/Black.